No more 1 page limit for Text Only and Freestyle Pages - your #1 request! New Drag and Drop Image Support! My name is Scott Stephen and I am the developer of ReportMakerPRO. I would like to sincerely thank ReportMakerPRO users for there ongoing support over the years, bringing great thoughts and ideas that has helped ReportMakerPRO become what it is today. As many of you know, I have been working on a contract with Lockheed Martin for the DoD over the last few years, but I am now back full time on my own with ReportMakerPRO my primary focus. We have acquired back 100% ownership and rights to ReportMakerPRO, so we are free to develop without any restrictions. Most features originate from User requests so this is the time to let us know what you like, what you don't like, and what you would like to see in the future. This release is just the beginning of good things to come! We plan to rebuild from the ground up the way ReportMakerPRO handles lists, comments and text libraries. You can look forward to a more straight forward, intuitive way add dropdown lists, manage comments to be used anywhere in any report! 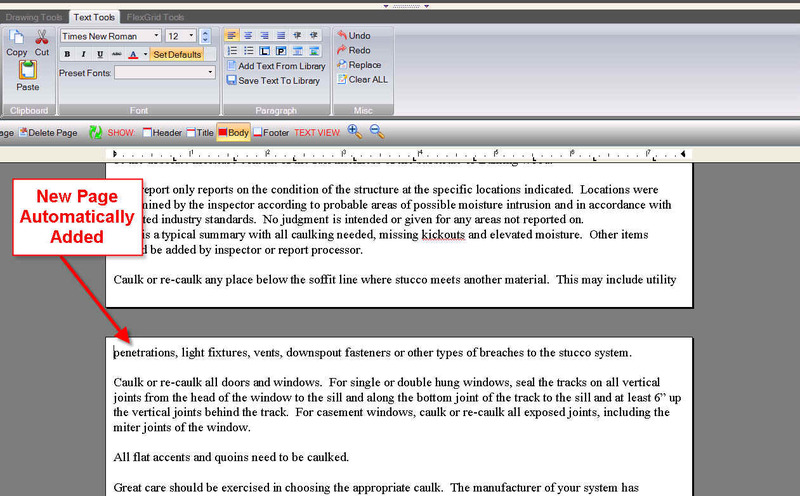 There will be improved, simple portability to distribute your report templates to your team. We will also be adding capability to connect with databases. Many improvements are planned for the text engine and image engine, this release just includes a few. Let us know what your thoughts. If you have your Page Numbering Style set to 'Page 5 of 20' then the additional pages will be numbered 'Page 5.1 of 20', 'Page 5.2 of 20', etc. If you just use the simple page number style 'Page 5' then the pages will be numbered in the order they occur ie Page 5, Page 6, etc. You can select the font and color for Page Titles, Large Headings, Small Headings, Normal Text and Small Text. 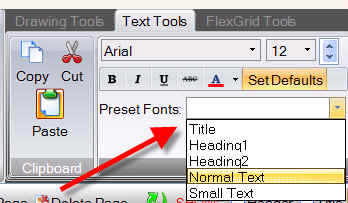 After you have set these once, you can easily assign the fonts by selecting text and choosing one of the font options from the new 'Preset fonts' dropdown list in the 'Font' section of the text toolbar (shown below). No more scrolling through an endless font list, although it is still there if you need it. We have tweaked the Text Toolbar to be more intuitive especially for new Users. Several button now include text descriptions to help them be self explanatory. Now there is an new feature to save a header or footer for 'this page only'. To use simply display the Header or Footer, set up as desired for that page. Then right mouse click and select 'Save for This Page Only' option. 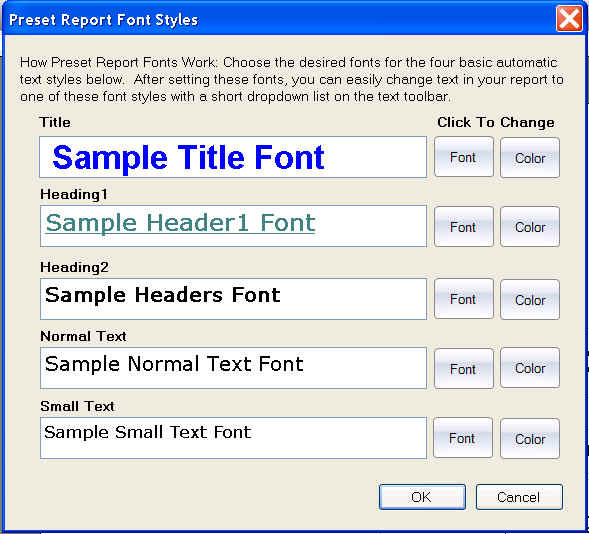 To return back to the default report header, right mouse click on a page header and choose 'Use Report Header For This Page'. See examples below. Now there is a lot better control of image resolution on Freestyle pages. We have improved the image resolution at the default settings (see screenshot). Before: Image quality at default settings of 80 Image compression and 300 dpi. 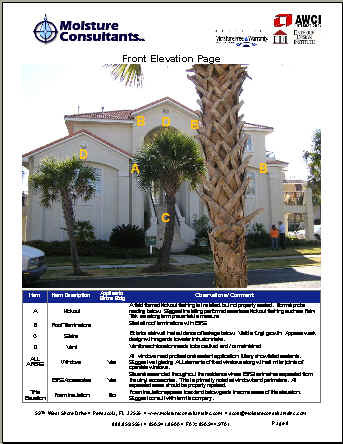 Here is screen shot showing where to set the Freestyle Image qualities. 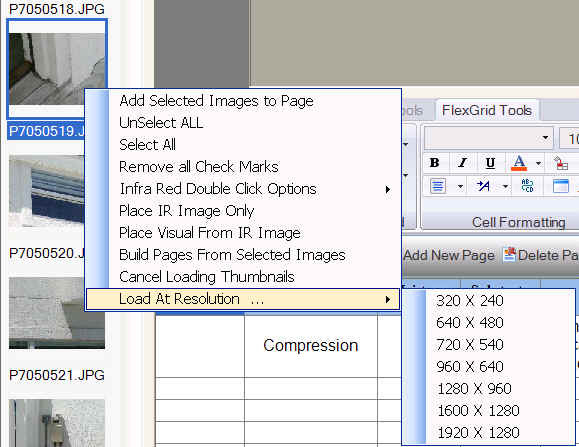 Keep in mind the higher the image resolution the larger the files and slower times loading, previewing & printing. By Popular Request! For those with large or multiple monitors, you can now open up multiple window explorers in thumbnail view (shown above) and simply drag the desired image and drop into the image editing area to load. Great if your photos are in multiple project folders! Drag from as many windows explorers as desired. There is a catch for Window 7 & Windows 8: Windows UAC security prevents windows explorer from dragging into a more privileged application (such as ReportMakerPRO). You must either temporarily disable UAC (not best idea) or get a windows explorer alternative such as FreeCommander (worked well in our tests). 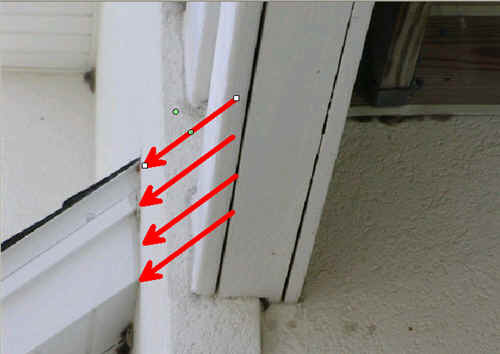 The image viewer now has an option to 'Show Large Thumbails' (see sample below). 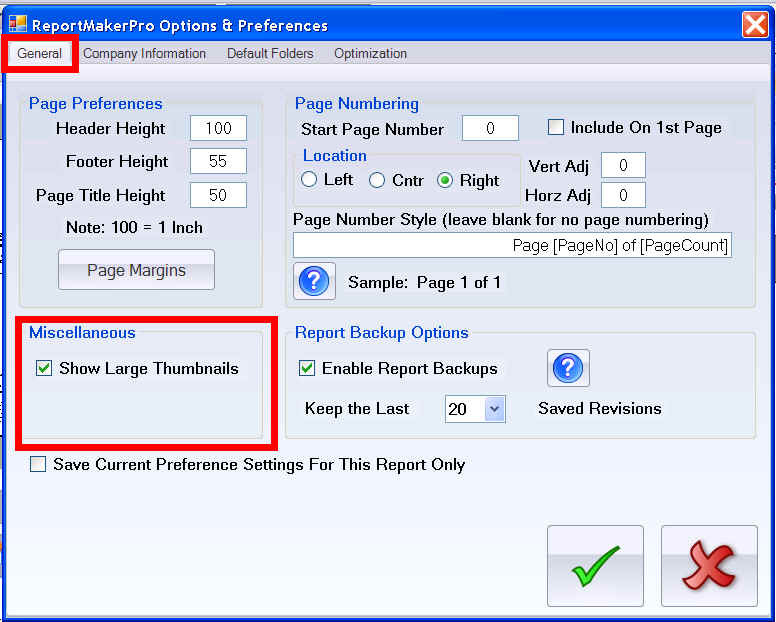 To select the option, open the ReportMakerPRO Settings dialog screen and check the 'Show Large Thumbnails' checkbox (see below). A little help for those of us with older eyes. You can also HOLD DOWN the right mouse button over a thumbnail to see a large preview screen of the image. We have added more options for image optimization. You can choose to use original camera resolution (no optimization) or select from Low, Medium, High & Highest Quality. We have also reworked the Optimization tab in the Preference screen to be more intuitive and self explanatory (see below). Higher the quality the crisper the images but the larger the file and slower the performance. You can also elect to take control of Jpg Compression which also effects image file size and quality (for advanced users only). 2 is the best quality while 100 is the most compression. Default is 20. We have also added the feature to load any selected image(s) at several resolutions. This is useful if you want to have the photos default to 'Low' resolution but load a particular image at a higher resolution. 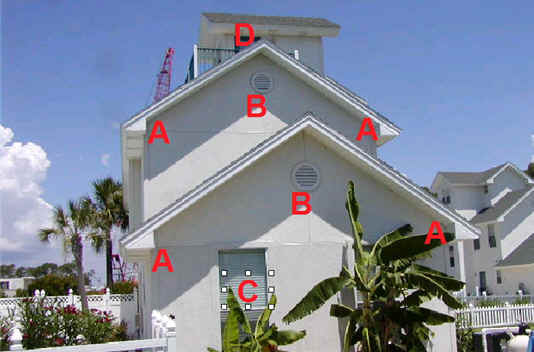 Simply select desired image(s) in the thumbnail browser, then right mouse click and choose "Load At Resolution ..." and then click desired resolution (see below). This will load the selected images at the chosen resolution without changing your default resolution settings for loading images. We are adding portrait image support to most page layouts. This new feature is tricky so we expect we will need to tweak. Let us know how its working. You can now add a border frame around photos. To select the option open up the ReportMakerPRO settings screen and check the 'Place Borders Around Photos' check box on the General Tab. You can also choose the border thickness. This is the introduction of a new feature to help optimize space on a page. For now it is limited to the 'One Image with Table' page layout. We will be adding the feature to additional layouts. 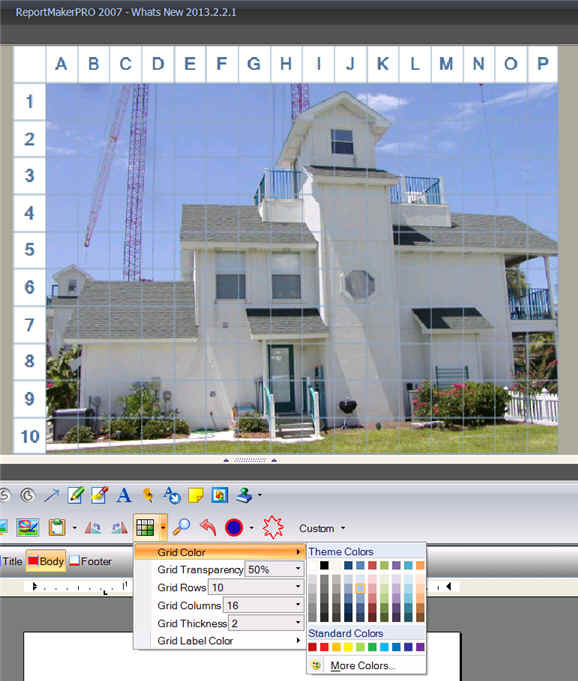 With the option turned on the size of the Photo will automatically be sized to fit in all of the available space not used by the flexgrid at the bottom. See examples below. To select the option open up the ReportMakerPRO settings screen and check the 'Allow Photo Sizes to Grow & Shrink as Space Permits'. We are adding support for these image formats. Portable Network Graphics (.png) image format is used a lot with websites. 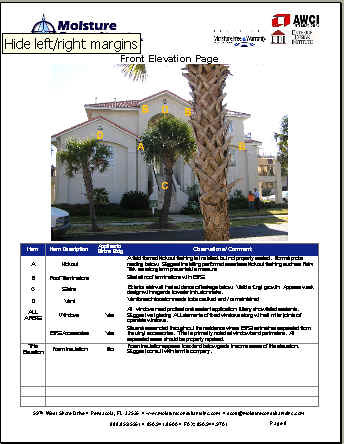 Windows Meta File (.wmf) image formats are used a lot for clip art and diagrams. Click to turn on / off. Once the feature is on (glows orange) on you simply click anywhere you want the marker drawn. Three sizes available. See images below. Also New Starburst Drawing. 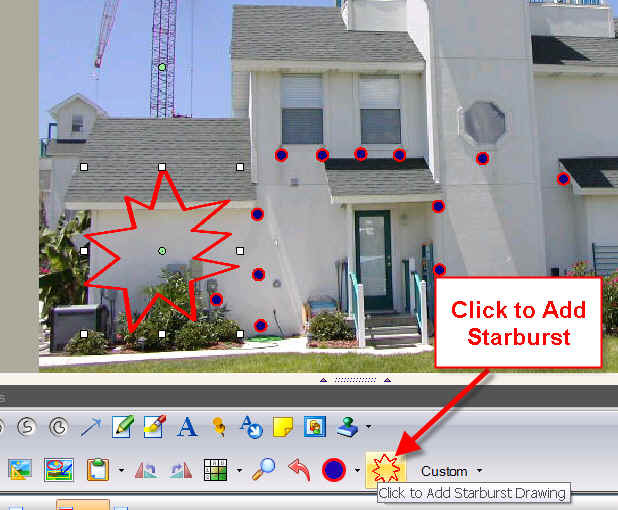 Simply click and a starburst will be added to the image. You can move and resize after drawn. 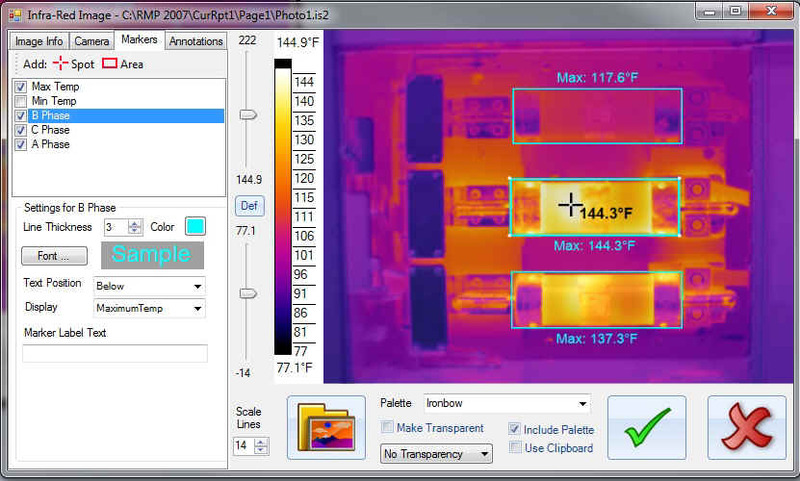 Now the Fluke InfraRed Editor will load temperature sensitive markers set in the camera. You can change the colors, line thickness, text placement and temperature function. Available markers are Spot and Area markers. You can select Max temp, Min temp, Avg temp. You can also now choose the number of temp lines for the pallet scale. Improper Antivirus Settings have been known to cause unexpected Crashes with ReportMakerPRO. 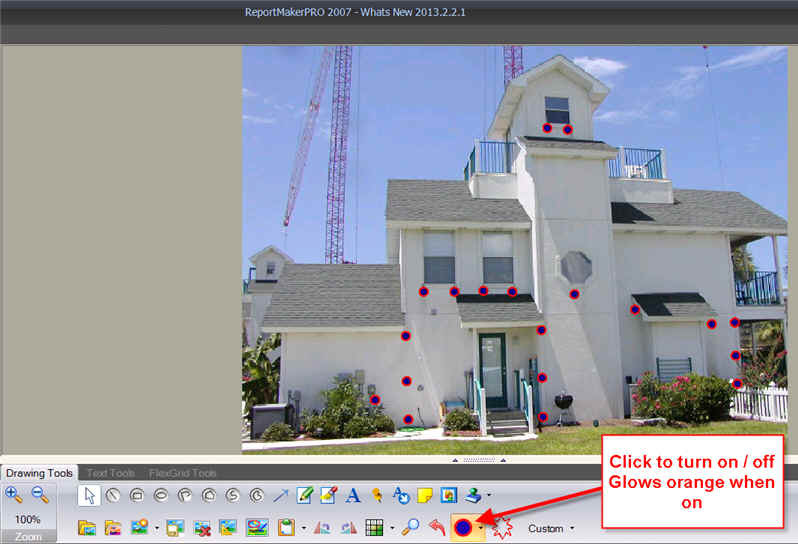 We have changed the way ReportMakerPRO does some things to make crashes less likely. We have also added code to automatically recover a report if it gets corrupted because of a Antivirus caused crash. If ReportMakerPRO performs this kind of recovery then you will be notified with a pop up message that lets you know what occurred. It is still important to get your antivirus setting correct, but now you won't loose the whole report. Support can help get your antivirus settings correct. We have also worked on known crash causing bug issues and have added code to 'shield' errors from causing hard crashes. Please let us know about any crashes so we can address appropriately. If for any reason a crash occurs we have added new features to recover a recent report . You can recover the very last report that was open or select from a time stamped list of the last 30 saved revisions. No more loosing work because you forgot to save, your key wasn't plugged in, or there's a power glitch or battery dies, or a crash happens. This new feature does a very good job of recovering up to the very last item you were working on! The feature is very easy to use. 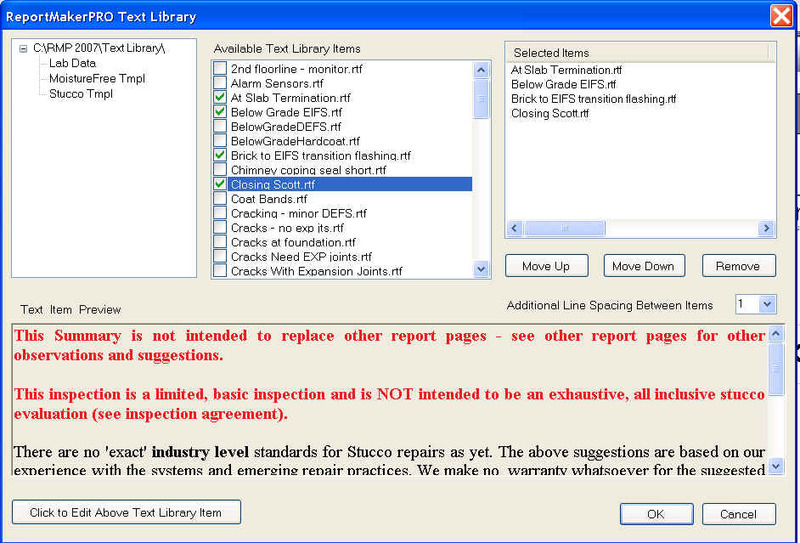 The recover report feature is available on the Getting Started menu (shown below). 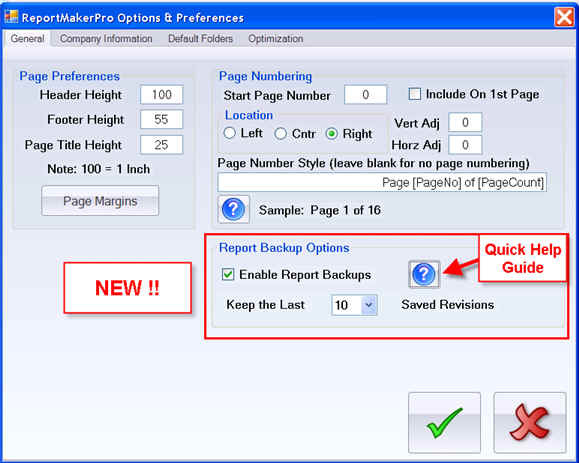 Report backup options are set on the general tab of ReportMakerPRO options and preferences dialog screen. You can view detailed instructions by click the quick help button (shown below). 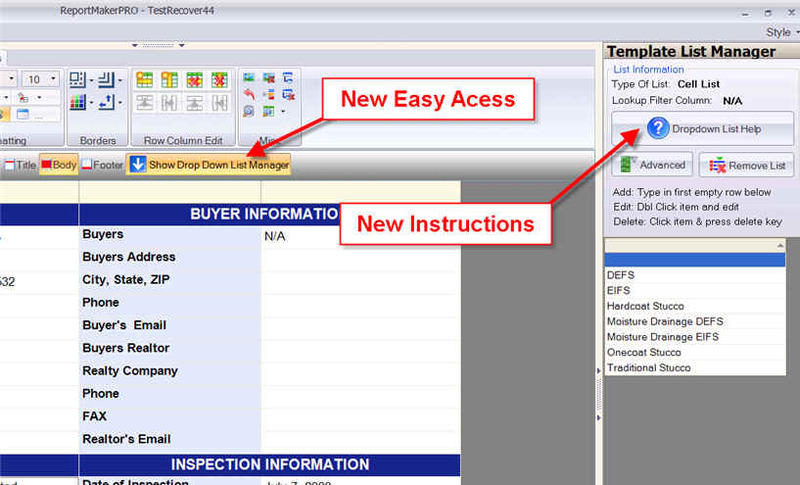 There is a new Drop Down List Manager Button (see below) that is visible when working on a flexgrid that will open up the list manager. There is also new quick help with instructions on using and working with dropdown lists (see below). 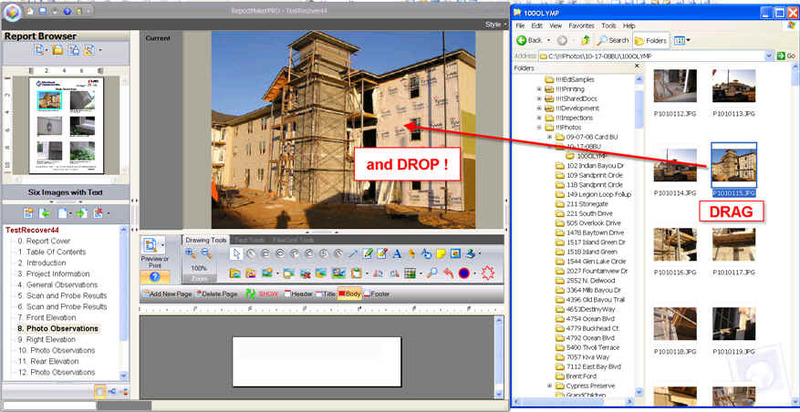 We are adding more Quick Help instructions throughout ReportMakerPRO screens to provide instructions for various features. There are several new topics in this release and we will be adding more with every release. If you see a help button (shown to left), click to show the Quick Help for that feature. If your default printer is a network printer, it can slow ReportMakerPRO down. 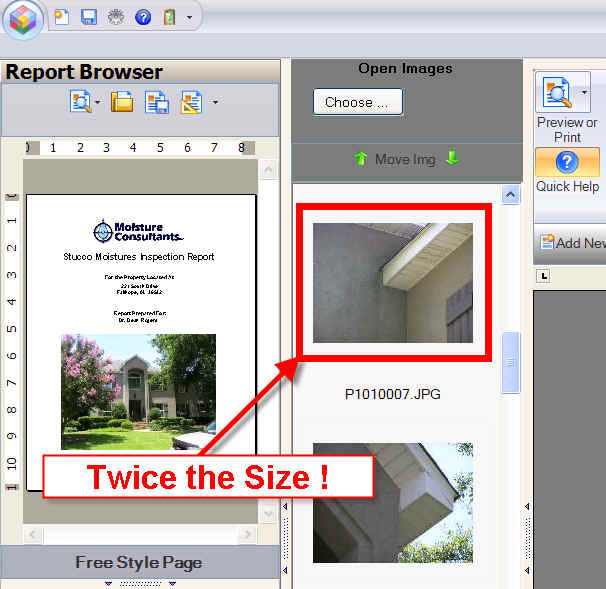 ReportMakerPRO uses the 'default' printer driver to draw or 'render' the report pages. 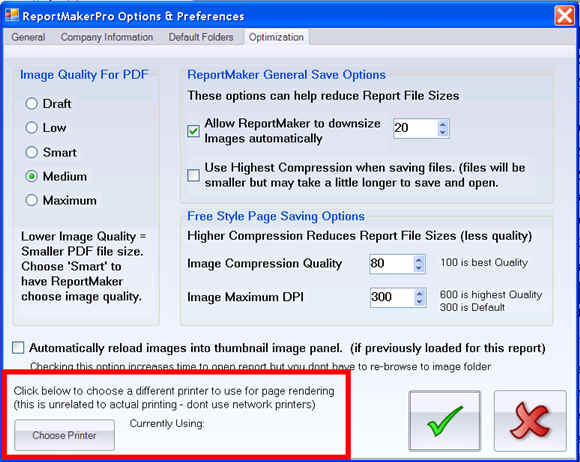 We have now added a setting to allow you to choose any printer for ReportMakerPRO to use to render the report pages. 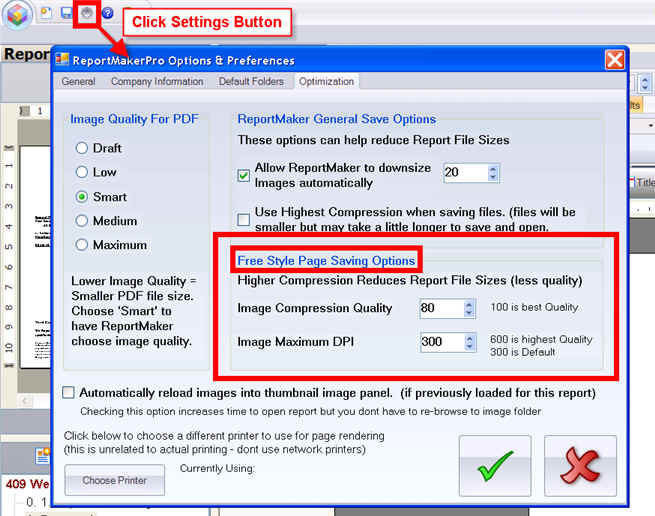 This will not effect your printer settings at all, but may increase ReportMakerPRO performance. We suggest always using a 'local' printer or we suggest using the 'Primo PDF' printer if installed. You can experiment with the settings to see if you can improve performance. The setting may not take effect until you restart ReportMakerPRO. 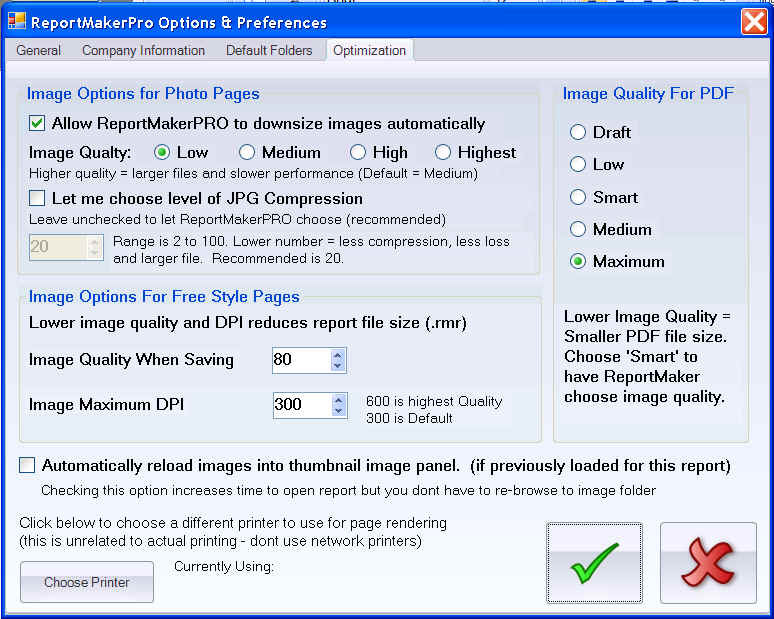 The new setting can be found on the Optimization Tab of the ReportMakerPRO Options and Preferences Dialog screen (see below). Gold Support Subscribers will receive automatic notification of new available updates. A download link will be displayed on the ReportMakerPRO startup screen.